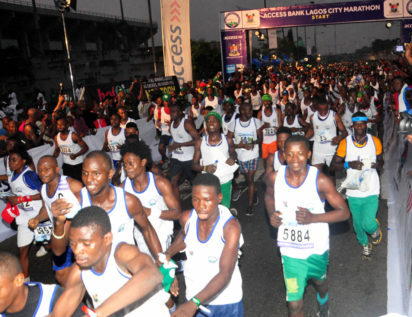 The Access Bank Lagos City Marathon projection of 150,000 runners at the start of 10km and full marathon on February 2, 2019 look realistic as over 50,000 runners have collected kits at the Teslim Balogun Stadium, Surulere collection center and Tafawa Balewa Square Lagos collection center as at February 16, 2019. The collection of kits started from Wednesday, January 7, 2019, and is to end January 28, 2019. “Our target of 150,000 is achievable going by the number of entries they have received so far. Though the collection of physical forms have since closed, interested runners can still apply on or before Friday, January 18, 2019’’. 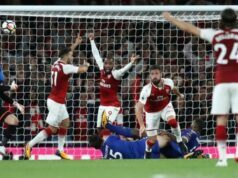 Alli advised runners living in Ajah, Lekki, Epe, Victoria Island, Ikoyi and other locations in Epe, Ibeju-Lekki and Eti-Osa not to bother coming to the Teslim Balogun but to make use of the collect center in Lagos Island. Alli revealed that the 2019 race will be bigger and better, “we have made provision for the expected figure of participants. I am assuring every 10km race runner that finished under two hours will get a medal, ditto the 42km runners that finished under the cut off time of seven hours”. “They should cooperate with sweepers who will take them to Teslim Balogun Stadium where there will be a fun park. The era of runners who are aided to get to the finish by sweeper buses and they will collect medal is gone. Once you can’t finish, its back to the start’’. “Our warm reception will encourage runners to visit Lagos again and again,” said Alli. Next articleAppeal Court again strikes out APC appeal against Magnus Abe due to lack of merit.